Your kitchen workhorses, do require a certain amount of accuracy in the technical field before they can be deemed fit as the right option. In case of a sauté pan – In case of a sauté pan, a non-stick base is an absolute no. The prime popularity of a sauté pan lies in the caramelizing effect that it has on the food. Using a non-stick pan will bring about a decrease in this effect. In case of a fry pan – Gone are the days when fry pans were single handily used for the purpose of frying food stuff. The recent times have brought about multiple usages of the same. It is thus advisable to get hold of more than one fry pan for your kitchen. You can always spare one for regular food that you want to get cooked while you can keep the other aside for cooking at high temperatures. 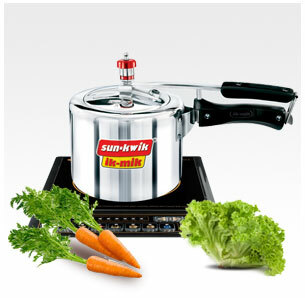 Buy fry pan online from renowned cookware hubs so as to get assurance in terms of the quality that you get. In case of a roaster– This particular rectangular cooking pan is one of the most efficient piece of cookware that you can get hold of for your kitchen when it comes to instant cooking. People often opt for a non-stick fry pan to make the process of cleaning an easier one. But if you look at it from the cooking point of view, then one with a regular surface is preferable while cooking up a nice yum gravy. The market of cookware has received an unmistakable hike in the present time with both the quality and looks of the products undergoing a great deal of change. The right place can always help you give your kitchen that instant change required in a blink of an eye.